STATIM's unmatched speed and dependability have made STATIM the world's best-selling autoclave. And its patented gentle technology has also made STATIM the world's favourite. 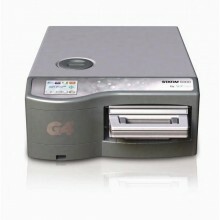 The STATIM G4 will offer you a level of interactivity never seen before. The STATIM G4, through its LCD touch screen control and Statim Live networking capability, has been designed to provide you with unprecedented ease of use and puts the user in total control. A high-resolution, 65K color touchscreen offers a vivid display of messages, current cycle information and customizable icons all with extraordinary clarity. Fully adjustable contrast levels let you optimize the screen to the lighting in your steri-centre, and its 2.5-inch by 3-inch dimensions allow easy viewing of downloadable learning modules. There's nothing like STATIM Live, the networked portal through which you can view not only your STATIM's current operations in real time, it also gives you access to cycle history, printing and validation information and sterilization records searchable by multiple fields. 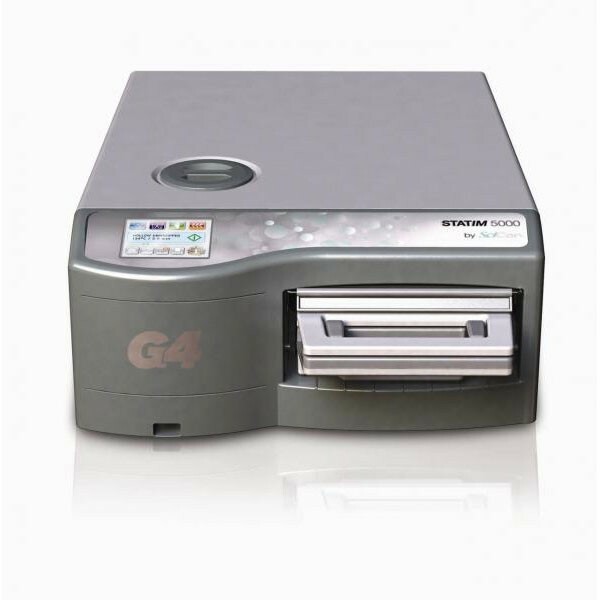 Capable of sending emails with cycle information errors directly to your dealer, your STATIM G4 will let qualified technicians know when service is imminent, can perform software upgrades and even some remote troubleshooting. An undocumented sterilization cycle might as well not have been done. With each cycle, information must be stored to protect your office and your patient. The integrated SciCan DataLogger stores all cycle information for the lifetime of the unit, a 2.0 USB port allows for the manual retrieval of cycle history, the 10/100Base-T Ethernet connection puts your PC in direct contact with your STATIM and the RS232 serial printer port allows you to connect with an external printer. Click the button below to add the SciCan Statim 5000 G4 Sterilizer Autoclave to your wish list.